Australia’s campaign to prevent men’s violence against women. White Ribbon Australia wants all women to live in safety, free from violence and abuse. Through education, awareness-raising and creative campaigns, preventative programs and partnerships, we highlight the positive role men play in preventing men’s violence against women and support them to be part of this social change. Inverell Shire Council is a proud supporter and ambassador of White Ribbon Australia. If you or someone you know may be experiencing abuse, contact 1800 RESPECT. 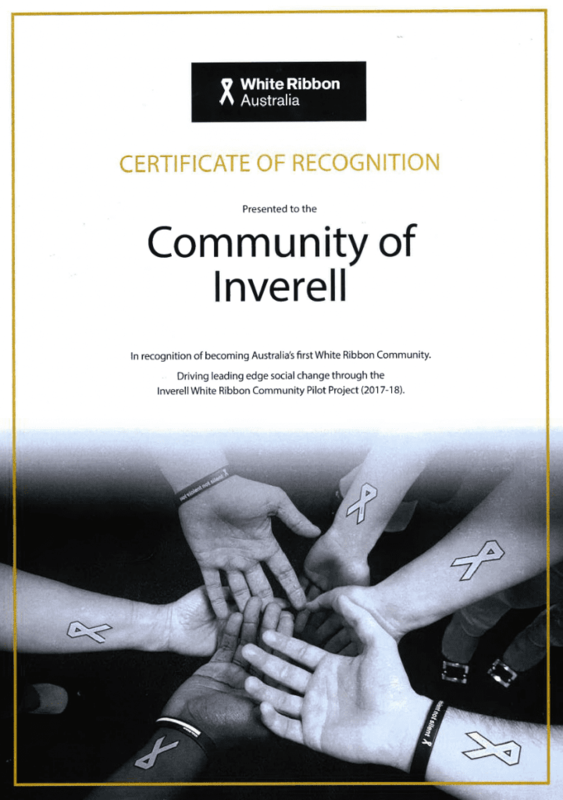 Inverell named Australia’s first White Ribbon Community! On Saturday, 5th May 2018 at Inverell’s Black and White Charity Masquerade Ball, White Ribbon Australia formally presented the community of Inverell with a certificate of recognition as Australia’s first White Ribbon Community! 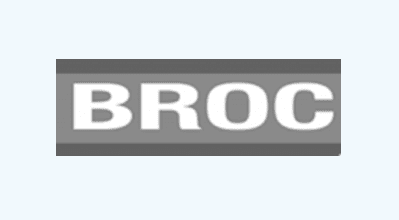 The achievement, which comes after almost 18 months of hard work by the Inverell community and the project team, led by Inverell Shire Council and the Department of Premier and Cabinet. Representatives from Pathfinders Specialist Homelessness Services, Inverell Rural Outreach Support Services and Hunter New England Health, NSW Family and Community Services, NSW Police (New England Local Area Command) and the NSW Department of Education have worked with White Ribbon Australia, local community organisations and schools to develop and pilot the framework for a White Ribbon Community. Inverell was chosen as the pilot for this project because of the great work of individuals, organisations and workplaces in our community were already doing and will continue to do, to demonstrate that violence against women and domestic and family violence is not tolerated in Inverell. 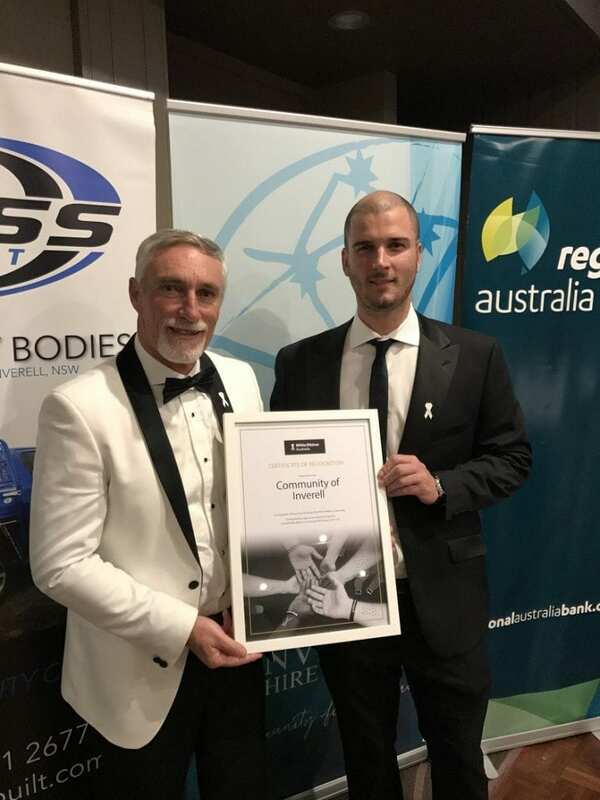 Liam Dooley, Executive Manager, Committees and Community Development with White Ribbon Australia says “The idea of a White Ribbon Community was a concept that we’d been considering for a while – something to build on our targeted schools and workplace programs. The fact that we were approached by the Inverell community made participating in a pilot here so attractive. Inverell has been very active in the White Ribbon Campaign for many years so this recognition is very well deserved”. Mr. Dooley added “the collaborative contribution of Government working with the community really value-added to the project”. Read more on this achievement in the media release ‘White Ribbon Community’ An Australian first for Inverell. Save the date for the White Ribbon Street March on Thursday, 22nd November 2018. The March will assemble at 9:45 am in Victoria Park and commences at 10 am – the public is welcome to join the march. Following the March, there will be a BBQ and community activities in Victoria Park. The March is hosted by the Community Violence Prevention Team, they can be contacted on (02) 6721 0855.